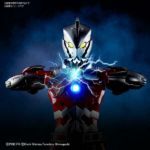 The Summer Wonderfest 2018 news continues with the reveal of Figure-rise Standard 1/12 scale Ultraman Suit 7.4 and Ultraman Ace Suit model kits! 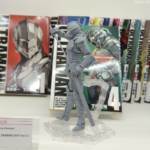 As seen in the currently ongoing ULTRAMAN manga series, these suits are based upon the original Ultraseven and Ultraman Ace designs and worn by the manga’s version of Dan Moroboshi and Seiji Hokuto respectively. The prototypes on show are currently unpainted so may not be released for some time, but these come as an affordable alternative to those who missed out on or skipped the Ultra-Act x S.H. Figuarts releases. Check out the full sized images after the jump!